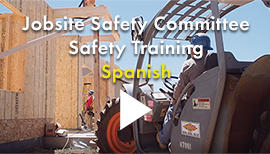 The JobSite Safety Committee works to minimize construction job site hazards and risks. Among its efforts is HomeSafe® Colorado, a first-of-its-kind program that began as a partnership between the HBA of Metro Denver and OSHA. The JobSite Safety Committee is comprised of an experienced team of professionals dedicated to promoting and developing safe working environments in the home building industry. JobSite Safety Committee and HomeSafe® Colorado work collectively to facilitate the goal of accident and injury free job sites by providing EDUCATION, TRAINING, SAFETY CERTIFICATIONS, and PEER SUPPORT. The HomeSafe® program offers employers in the State of Colorado home building industry voluntary development and implementation of effective work-site safety and health programs, typically resulting in measurable reductions in work related injuries, illnesses, deaths and overall business operational costs. Member: Dan Johnson, SFI Compliance, Inc.
LOUISVILLE – September 2018. 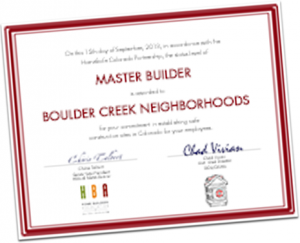 (Hard) Hats off to Boulder Creek Neighborhoods for successfully completing the necessary steps to reach the highest honor awarded within the HomeSafe Colorado Partnership Agreement - Master Builder Status. The much sought after, rarely achieved Master Builder status is the culmination of several years’ worth of dedication to safety. Boulder Creek Neighborhoods began their quest for Master Builder in 2015 after a routine OSHA audit of the Boulder Creek job sites. Members of the Boulder Creek construction team recognized the opportunity to further a culture of safety and a more consistent process to both meet and exceed industry safety standards. Boulder Creek quickly established a task force comprised of four construction professionals to map a course to creating a world-class culture of safety. This team dedicated time and resources, taking the initial step of joining the HBA of Metro Denver's JobSite Safety Committee. Boulder Creek took advantage of the resources available within the Committee to examine and improve their overall safety program. They fully emerged themselves into the JobSite Safety Committee and quickly became a go-to member, supporting the programs in a mutually beneficial environment. The Boulder Creek Safety Team is confident their efforts have been successful. In September BNC proudly invited OSHA onto construction sites for an informal audit. The result of the audit was the formal qualification for the highest honor within the HomeSafe Colorado program; Master Builder. One of only two qualified Master Builders recognized, Boulder Creek Neighborhoods will enjoy all the education and benefits afforded under the program for a period of one year. HomeSafe is a Partnership Agreement between the HBA of Metro Denver and OSHA. For more information regarding the JobSite Safety Committee or the HomeSafe Agreement mark your calendar and attend a Committee meeting the third Tuesday of each month in the HBA lower level conference room at 2:00. Highlands Ranch – July 2018. Jobsite safety is integral part of Shea Homes’ commitment to quality and integrity, and the Colorado homebuilder is thrilled to have maintained its Master Builder status level of the Homesafe® Colorado Partnership for a fourth year. In 2015, the Home Builders Association (HBA) of Metro Denver in partnership with the Occupational Safety and Health Administration (OSHA) awarded Shea Homes the highest honor bestowed under the HomeSafe® Colorado Partnership granting the homebuilder Level 3 Master Builder status. Shea has worked diligently to keep that status each year since. 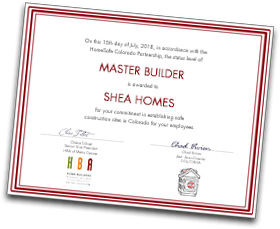 After a recent annual verification audit, it was determined that Shea has retained the Master Builder status level of the Homesafe® Colorado Partnership through July 2019. In pursuit of achieving and maintaining this annually awarded status, Shea Homes’ employees participate in the HomeSafe® Colorado Safety Orientation Training Program, HomeSafe® Colorado Field Focus Four Training Program, and the OSHA Construction Safety Course. This training lays the groundwork for creating and positively reinforcing a culture of safety on Shea jobsites. To meet necessary safety goals, Shea Homes continually reviews and evaluates its comprehensive safety and health program, provides ongoing employee training, and designates competent staff with the required training to recognize hazards and take corrective actions. Shea Homes strives to be a leader in all facets of the homebuilding industry including jobsite safety. “Maintaining this status is a significant accomplishment for Shea underscoring our commitment to embrace what we strive for day after day - a ‘Nobody gets hurt today’ mindset.” said Jeff Palumbo, Safety and Environmental Manager, Shea Homes. Being recognized as a first place winner means that NAHB acknowledges the leadership and commitment to improve construction safety. Each year NAHB recognizes home building industry professionals who take the extra step to ensure that their worksites are safe. The NAHB/Builders Mutual Safety Award for Excellence (SAFE) acknowledges and honors individuals for developing and implementing high-quality, innovative, worksite safety programs. The goal of the SAFE awards program is to recognize the achievements of home builders and trade contractors who have developed and implemented high quality construction safety programs, as well as honoring other individuals and organizations who have made successful efforts to advance safety in the home building industry. Congratulations! We would like to thank you for your award winning efforts to ensure that home builders, trade contractors, and workers in the residential construction industry return home to their families and friends each day. Awards were presented at the International Builders’ Show in January 2018. 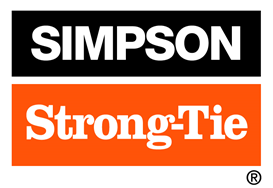 JobSite Safety Monthly Committee Meetings - Come find out what the committee is all about! The third Tuesday of the month at 2:00 pm in the lower level conference room. Safety Orientation in Spanish New! Mark your calendar for the 4th Annual Safety Fair! Location to be announced. See Photos from the Past Event! Two nights per week, 2 hours per session, 6 weeks, total of 12 classes. The course will be in session for 3 weeks, then students will have a 1 week break for self-study on construction issues with weatherization. The student will then return for a final 3 weeks of hands-on training. HBA members in good standing can participate in the JobSite Safety Committee. 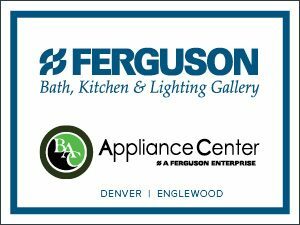 To be a part of HomeSafe® Colorado, membership is free to HBA members in good standing. Meetings are typically held on the third Tuesday of each month at 2:00 p.m. in the HBA building. Contact Dorys DeMiranda 720-338-4619 for specific dates. 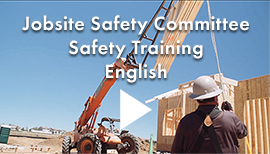 Jobsite Safety Videos Now Available! Please visit the OSHA website for National Safety Stand-Down Week information. Watch for Safe and Sound Week 2019 info too! "When it comes to Safety: Information, Education and Knowledge are Power! The Home Safe Colorado program is the “Go To” educational resource for all residential construction professionals. The program has been designed to strengthen a company’s aptitude in the safety sector. The program offers assistance based on OSHA compliance training and graduates to the development of a complete safety program tailored to a company’s specific needs. The value of the Home Safe Colorado program will promote benefits that will hopefully minimize the risk of injury to our Colorado workforce and create a “Nobody Gets Hurt Today” mindset."